AUBURN, AL (WSFA) - In Auburn, students are working with the Food Bank of East Alabama to help fight food insecurity. 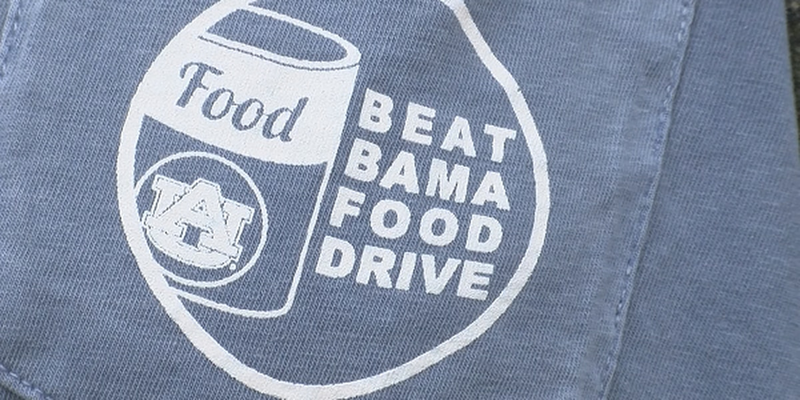 The Beat Bama Food Drive is celebrating its 25th anniversary this year. Beat Bama Food Drive is a service organization that brings the students, faculty, alumni, and Auburn community together to fight food insecurity for the Food Bank of East Alabama. In 2017, Auburn collected over 232,000 pounds of food to feed local families. This year they are hoping to raise even more. The two schools have made a combined goal of 500 million pounds of food. The good-natured competition with the University of Alabama’s Beat Auburn Beat Hunger has been around since 1994, and together, both communities have raised nearly 5.5 million pounds of food. The organization also accepts monetary donations to the Food Bank of East Alabama. The University of Alabama is donating all their food raised to the Food Bank of West Alabama.